krommstore has no other items for sale. Gr8 Camera Kit! Super Deal & Price! Fast Shipping! 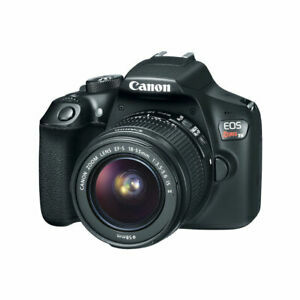 Series: Canon EOS Rebel Screen Size: 3.0"
Sales tax may apply when shipping to: IA*, MN*, NJ*(7.0%), NY*(8.875%), WA*. This is an excellent camera, with a lot of extras in the bundle. The camera has so many features that I didn't expect. The price is without a doubt, the best you will find anywhere, especially for what you get. If you want a great, expensive camera, with lots, and lots of extras for a price, this is the one for you! Nice camera body, throw away the lens, and buy something good or at least better. Just getting started with DSLR! I am a beginner with a DSLR. After reading reviews and recommendations I selected the Canon T6 Rebel. I have been very pleased with my photos. I am still in "full auto" mode; but looking forward to learning more about advanced settings. Such a beautiful camera, with such great photo quality, the light adjusts accordingly to the surroundings! It comes with battery charger and a strap as well as a detailed manual for all the information that you will need. Awesome product! So satisfied!